Pineapple Origami- Here is a simple way to make pineapple origami. Pineapple is a tropical fruit, and can be eaten raw, cooked, juiced or preserved. It most common in the Philippines as Pinya. Pineapple is widely commercialize, in the Philippines its leaves are used to produce textile fiber used for men's barong tagalog the national dress for Filipinos. 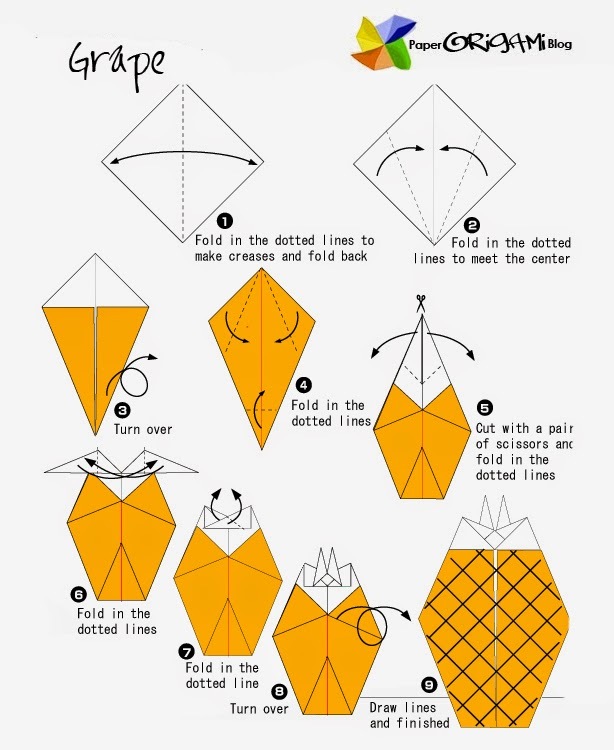 So, let us learn how to Pineapple origami by following its folding guide below.